” Imran Khan on course to Create a New Pakistan ” – July 27, 2018. This is the decade of new (first time) leaders in National Governance. Narendra Modi (India), Donald Trump (U.S.A.), Rodrigo Duterte (Philippines), Emmanuel Macron (France), Justin Trudeau (Canada), Moon Jae-in (South Korea), Giuseppe Conte (Italy), Jacinda Ardern(New-Zealand), Kolinda Grabar-Kitarovic (Croatia),. 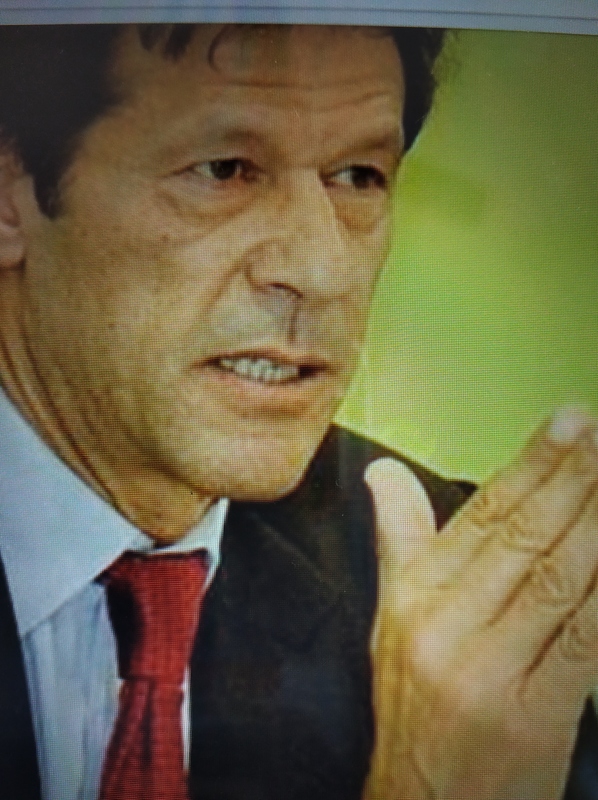 .. .. ..
Imran Khan, 65, of Pakistan is the latest in this star-spangled horizon of exceptional individuals. Unseating the three time PM, Nawaz Sharif, Imran seized the prizable symbol of Pakistan (post of PM) that he has been striving for nearly 22 years since launching his Pakistan Tehreek-e Insaf (PTI) party. A reward worthy of recognition for his endurance in Politics. As I write this, he has 114 elected seats out of the 137 needed for a simple majority, but this will not fail his taking charge as PM of Pakistan. He has allies and independents to support him. Most of the first time leaders who have acquired the positions of President or Prime Minister have been catapulted to power largely due to the apprehensive forebodings and an overwhelming distrust of the previous occupants (leaders). Imran Khan is no exception to this factor. – “If God wills, we will set an example” – he avers. Imran Khan’s above words after sensing victory in the election (held on July 25, 2018) reflect his genuine desire/eagerness to adopt a clear sense of purpose and to bring about a positive change in the economic and social good for the people of Pakistan. That this new government is willing to make fresh initiatives – political, economic, and social – fashioning an impression of leading the nation on the right track and away from the perceived faults of the previous governments is common and usual. Rewards for these initiatives are three fold: (a) building strong relationships and forging new partnerships for peace, security, and prosperity; (b) economic growth coupled with industrial progress affording a new competing standard nationally and internationally; and (c) enhancing the living standards of people as well as sustaining social harmony. All noble ideals, no doubt. What will, however, be closely watched is the ‘energy’ that Imran Khan can bring to the task of honest and transparent governance, avoiding the manifold distractions inherent in Pakistani Leadership (policies) while strengthening growth and development of the nation. Analysts, media, and people will be watching keenly the kind of Coaching that Imran Khan lends to his ministers/aides/associates, as he did to the players during his glorious cricketing career. Together, these two factors will go a long way in transforming the “culture” of constructive and productive march to progress and prosperity. I hold the strong belief that Imran Khan’s leadership will hinge on the “people space” of the citizens. That he has been extremely popular since his cricketing days adds to this belief. I am also reminded of the ‘training program’ for the new legislators that the Indian PM conducted in Chandigarh in 2014, within a couple of months of taking charge, that revealed his desire for details, analysis, and interpretation of issues – major and minor – impacting the national growth and development. It is worthy of emulation. That sports, music, and entertainment composites can unite people and elevate their spirit of comradeship is too well known. Imran Khan has the proven record of a great cricketer/leader affording lessons in leadership – unearthing and nurturing the varied talents of Wasim Akram, Waqar Younis, Mudassar Nazar, Inzamam-ul-Haq, Haroon Rashid even while raising the bar of his leadership by successfully handling the tempestuous Javed Miandad. He remained an accomplished Captain, Coach, and Mentor all rolled into one. This is what made each of the above cricketers under his tutelage a legend in their own way. Imran Khan can also benefit from the coaching recipe offered by Doug Pederson, Coach of Philadelphia Eagles Head. He advocated four principles for a successful approach to ‘culture’ of his team/organisation. (1) Create Energy everyday; (2) Eliminate Distractions; (3) Fear Nothing; and (4) Attack everything ( i.e. get better everyday ). Doug Pederson created a winning team/organisation. Will Imran create a winning Pakistan ? What is good for teams and organisations can be good for politicians too. Finally to the negative : Pakistan army has often been held for its overbearance and imperiousness capable of laying a stymie as the history would reveal. Will the army be a stumbling block or a soaring stimulant under Imran Khan is what everyone (in the world) would like to follow. This is what will also decide the citizens of Pakistan to accept (or reject) what Imran Khan is about to take on from now. History has, nevertheless, given an opportunity to Pakistan to shed all its past misgivings and turn the corner. Tidbit : ” Leadership is the art of getting others want to do something you’re convinced should be done”.